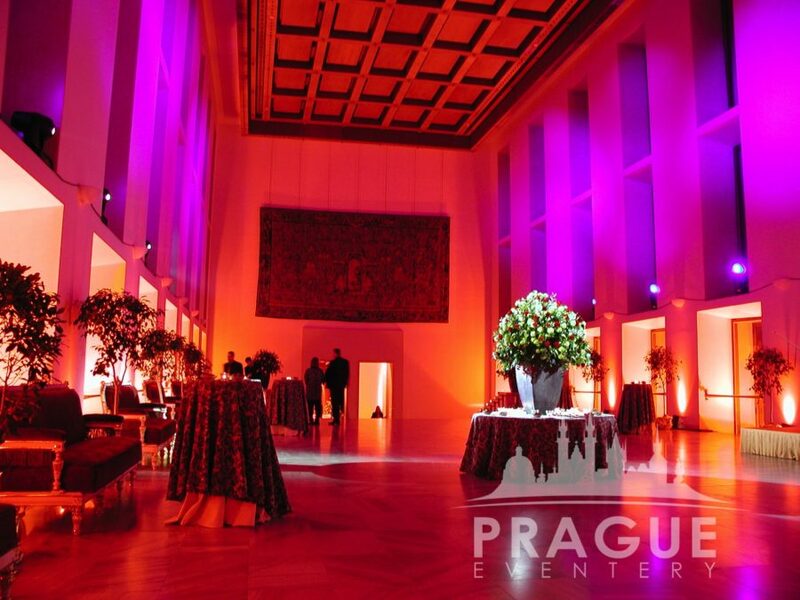 « Previous "Prague National Museum" | Next » "Carlo IV Bank Lobby"
The Prague Castle, a symbol of Czech statehood, has been the focal point of Prague for over a thousand years. 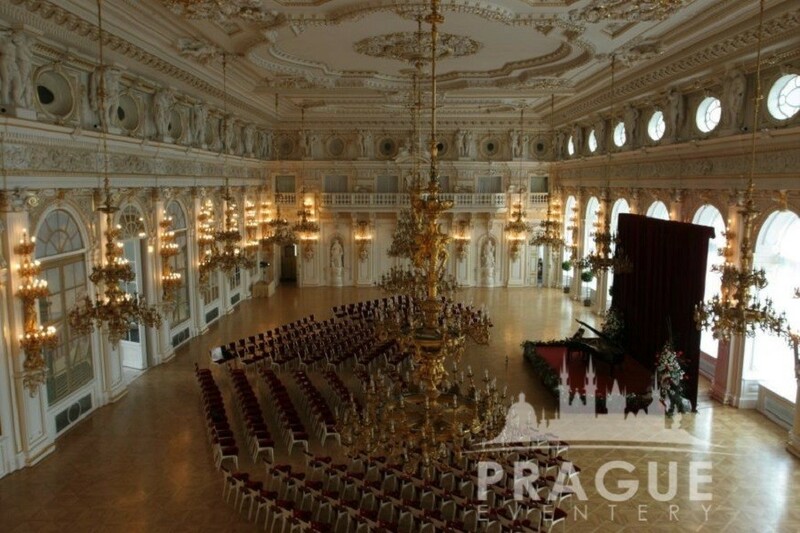 The unique complex of palaces, cathedrals and other buildings with diverse architecture offers a cross-section of Czech history. 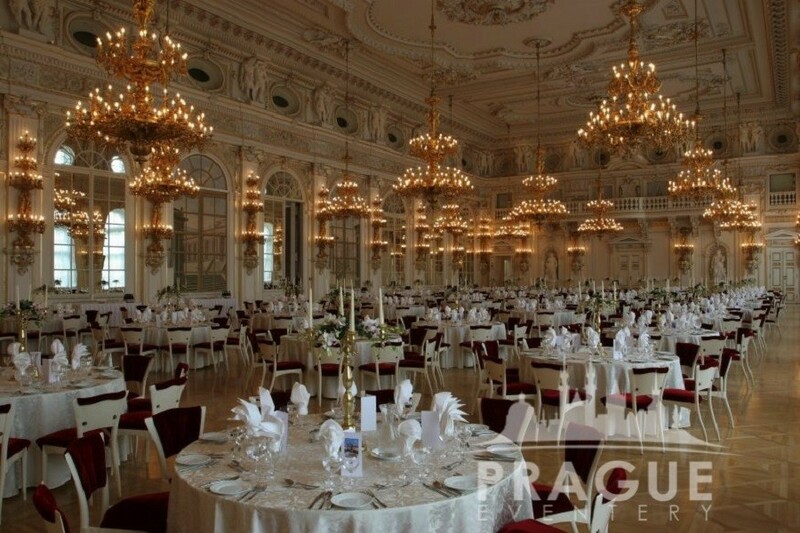 It is here that all the various architectural styles, ranging from the Romanesque foundations to the latest reconstruction carried out in the 1920s by architect Josip Plecnik, flow together in graceful symbiosis. 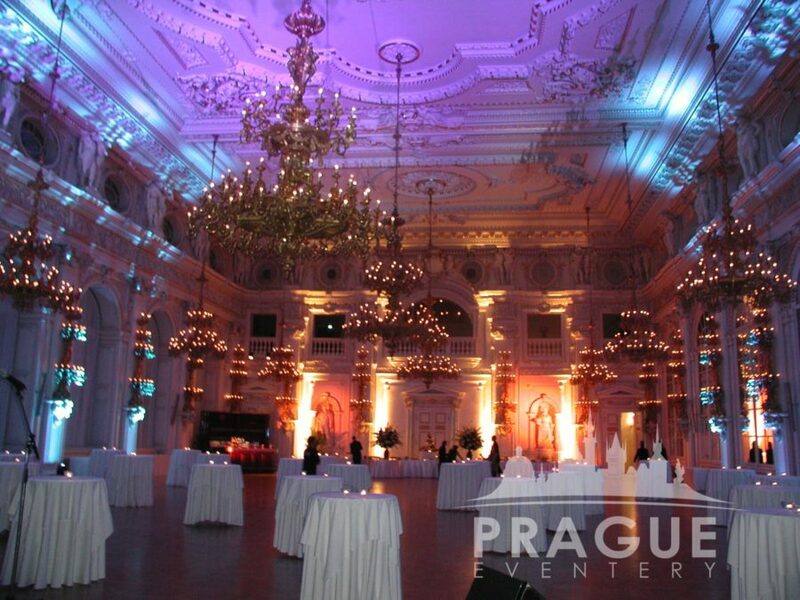 There are very few more ideal settings for a Prague gala venue other than the Prague Castle. 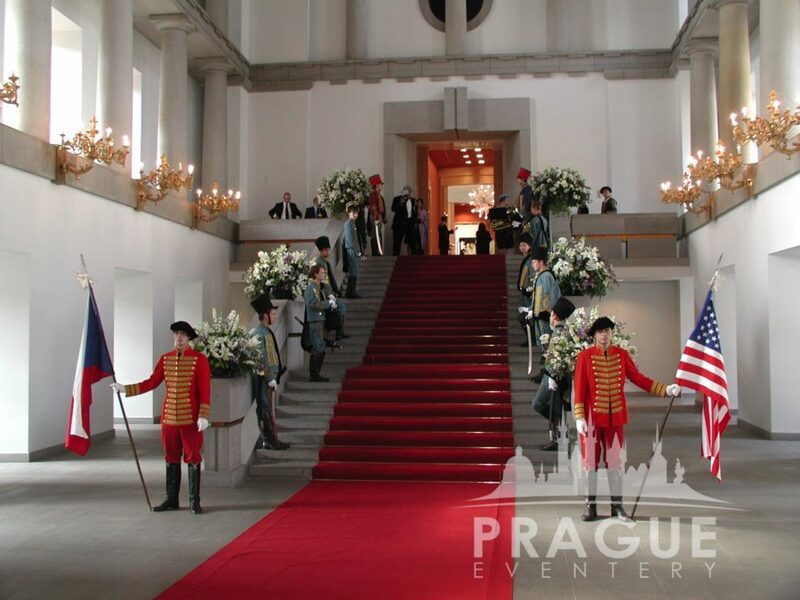 Here you can experience the atmosphere of kings and presidents who have been received by the president of the Czech Republic, or kings and queens prior, in these very rooms. 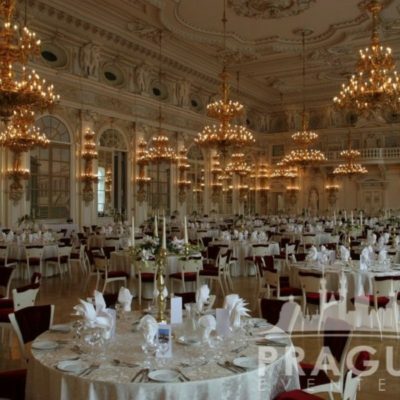 Of greatest importance is The Spanish Hall whose Baroque ornamentation will surely augment the atmosphere of your gala dinner or banquet. 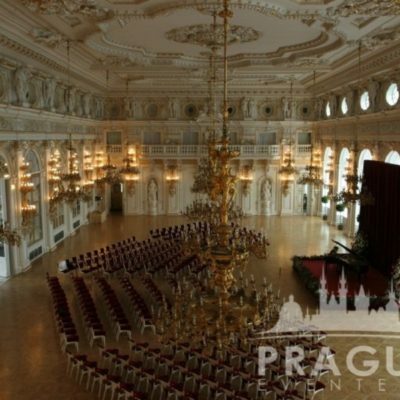 Other popular rooms include The Rudolf and New Galleries, The Ball Room, The Belvedere and the Medieval Cellars. 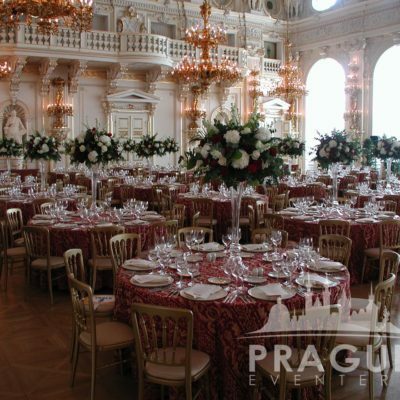 One of the most beautiful staterooms at the Prague Castle is the Spanish Hall. 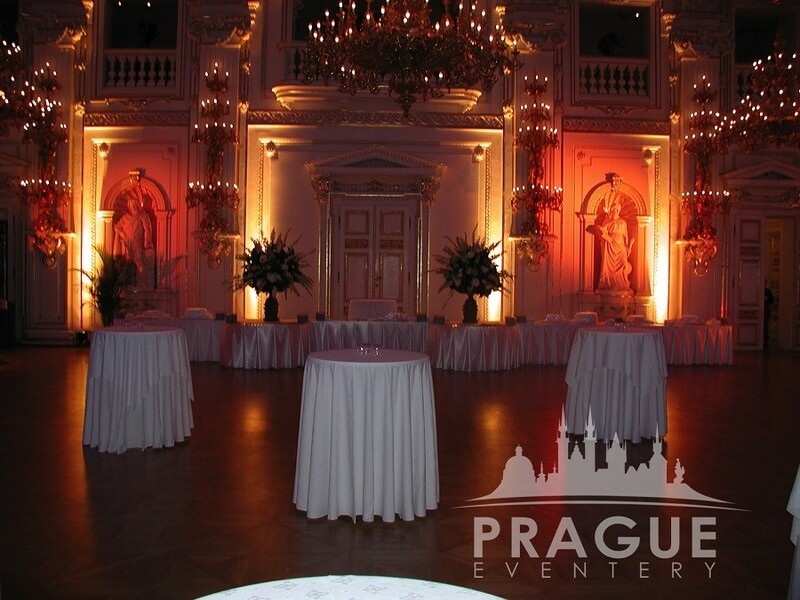 It was built in the 17th century for Emperor Rudolph II, who had his collection of sculptures there. 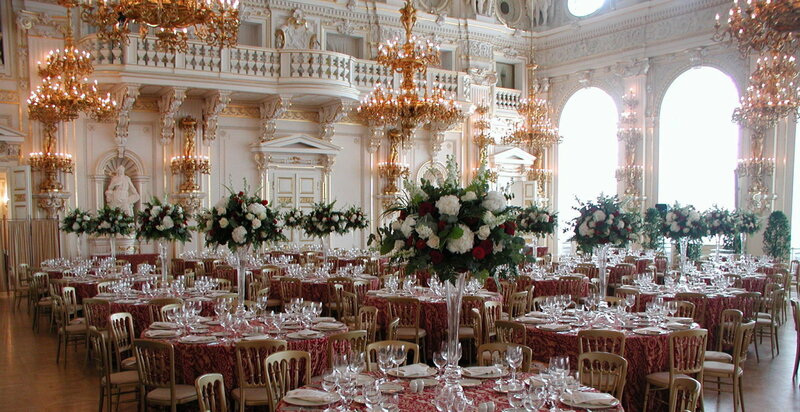 Nowadays, the room is a place of many important political and social events. 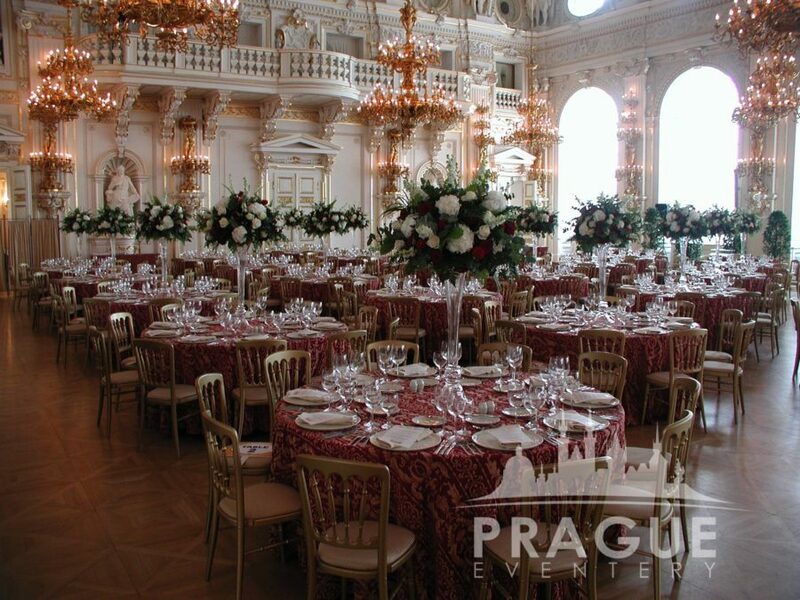 Ever since its origin in the first years of the 17th century the Spanish Hall has been the most important stateroom of the New Palace of the Prague Castle. 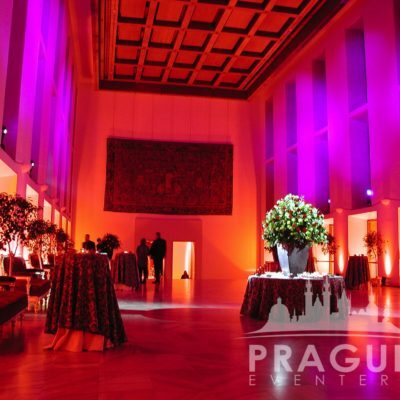 The Spanish Hall got its name because of highbred Spanish horse stables that used to be below it. 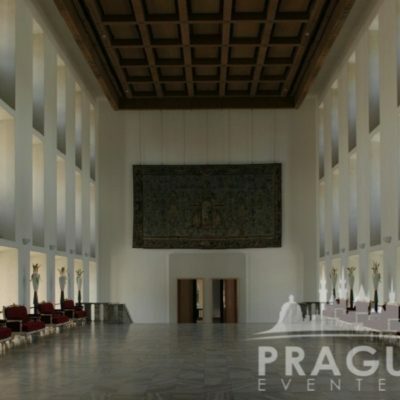 The size of the hall is impressive: it is 43 meters long, 21 meters wide and 12 meters high. 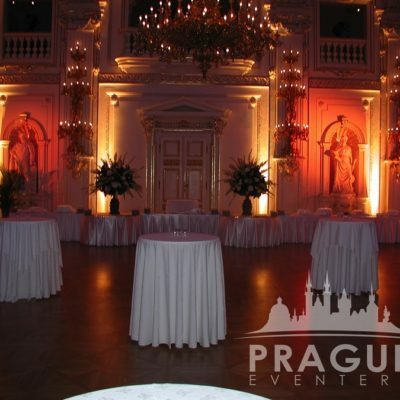 It was built in the beginning of the 17th century, probably by Giovanni Maria Filippi. 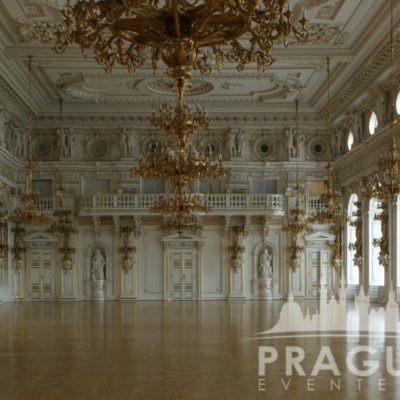 The interior of the Spanish Hall is embellished with stucco decorations from the 17th century. 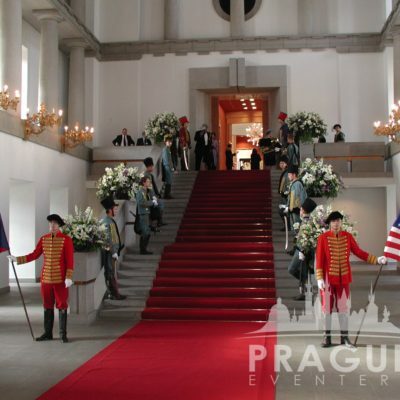 You can see a monogram of Rudolph II. above the middle window. 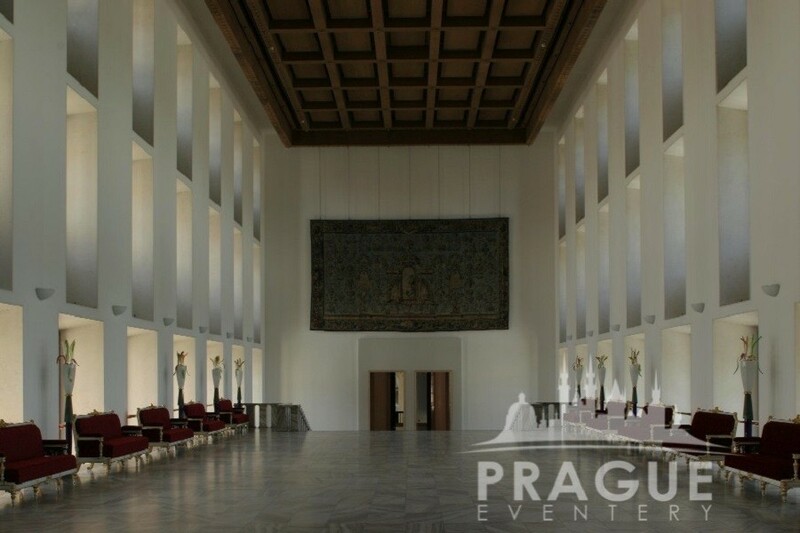 Sculptures by Adrien de Vries were placed in the hall in the 19th century, which represent allegories of the Arts, the Science, the Commerce and the Industry. 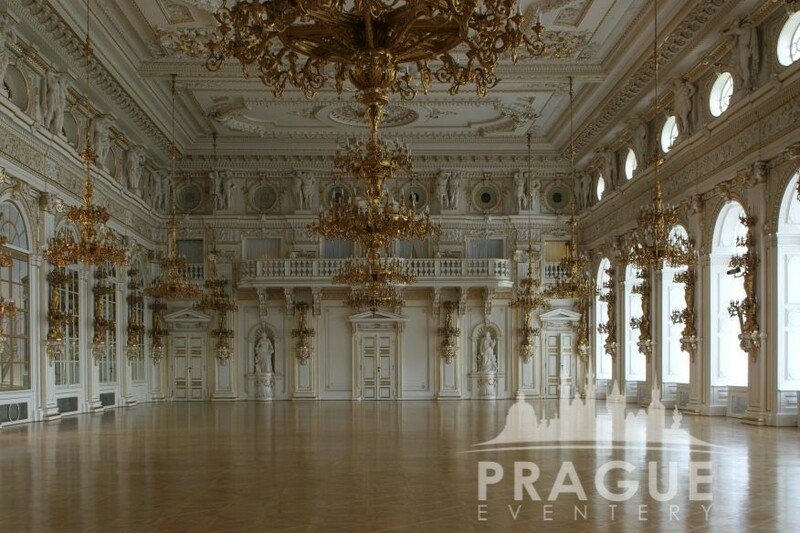 The hall is not open to the public – it’s used primarily for ceremonial functions, large presidential receptions, concerts, and as the premier Prague gala venue. Working Harder to Make You Look Better!